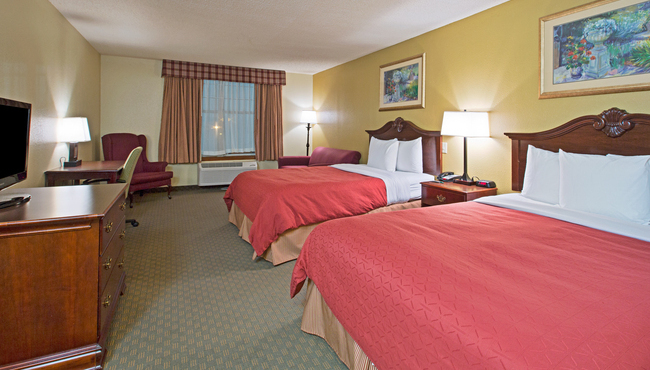 Kick back on a pillowtop mattress, open up your laptop and go online with free high-speed Internet access at the Country Inn & Suites, Lumberton, NC. If you’re in the mood to veg out, our cable TV can keep you entertained. Warm up a snack in the microwave, grab a beverage you chilled in the fridge and make it a movie night. In the morning, you can wake up with a cup of coffee brewed right in the room and check out a complimentary weekday newspaper. We even help you save space in your suitcase by stocking your room with an alarm clock, a hair dryer and an iron. 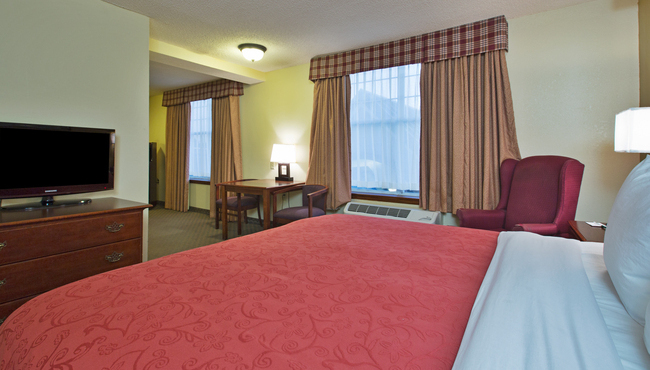 Perfect for families and friends traveling together, these rooms boast two queen-size beds, a TV, a large work desk, chairs and all other standard amenities. Couples and business travelers enjoy this room, which features a TV, a large work desk, a king-size bed, chairs and all standard amenities. Ideal for families who need extra space, this suite comes furnished with two queen-size beds, a sleeper sofa, a TV, a wet bar, chairs, a large work desk and all standard amenities. Looking to entertain during your stay? This suite makes it easy with a microwave, a wet bar, and a separate living area that features an additional TV, a sleeper sofa, a large work desk and chairs. 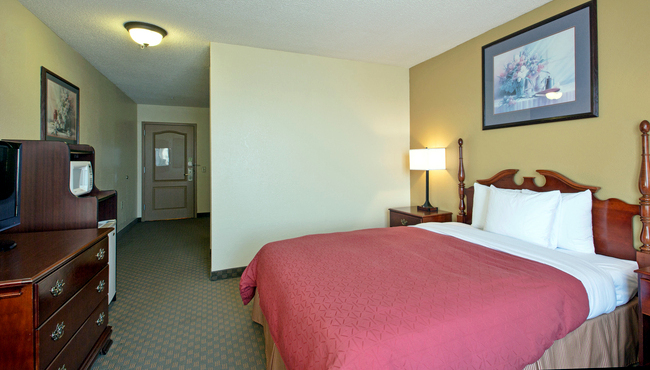 After your guests have gone, you can retire to the bedroom and relax on a king-size bed while you watch TV.